Welcome to the wonderful ancient world of the TRS-80! Yes, this is just another TRS-80 web page... I meant not "just another web page"... it is a tribute to this great invention that gave humankind a huge leap into the computing world, into the unexplored universe of computer machines back in the 1980s... A Google search for "TRS-80" resulted in more than 2.4 million results (Feb 2011). Have fun! The TRS-80 by Tandy Radio Shack (aka "Trash-80", Welsh and Welsh, 2007) that came to life in 1977 was indeed a revolution in the home computing arena. I, likely many more people, took it for granted and very few have recognized the ingenuity of Steve Leininger, as pointed out by Welsh and Welsh (2007), to make the TRS-80 to be a reality. Of course that Radio Shack had a crucial role in the TRS-80 development. The computers from Radio Shack lasted only 10 years, it started in 1977 with Model I using Z80 CPU and the last was Tandy 4000 in 1987 (more information here). From Wikipedia... In fact, TRS-80 microcomputers were sold through Tandy's Radio Shack stores in the late 1970s and early 1980s. The first units, ordered unseen, were delivered in November 1977, and rolled out to the stores the third week of December. The line won popularity with hobbyists, home users, and small-businesses. Tandy Corporation's leading position in what Byte Magazine called the "1977 Trinity" (Apple, Commodore and Tandy) had much to do with Tandy's retailing the computer through more than 3000 of its Radio Shack (Tandy in Europe) storefronts. Notable features of the original TRS-80 included its full-stroke QWERTY keyboard, small size, its Floating Point BASIC programming language, an included monitor, and a starting price of $600. The pre-release price was $500 and a $50 deposit was required, with a money back guarantee at time of delivery. One major drawback of the original system was the massive RF interference it caused in surrounding electronics. This became a problem when it was determined to violate FCC regulations, leading to the Model I's phase out in favor of the new Model III. Do you remember the funny Dancing Demon by Leo Christopherson? It was a master piece showing the TRS-80 graphics and sound. Click here to see the original. Click here to see the modified version by George Phillips. More about the modified version can be found here. * Wayne Westmoreland and Terry Gilman wrote these excellent games for the TRS-80 from 1981 to 1983. In 1995, Wayne Westmoreland released these games into the public domain. You can download the AIGames.zip and read the description and release of these AIGames.txt. The history of Microprocessors, Personal Computers, IBM PC, Apple, Amiga, Commodore 64, and others have been documented by Ken Polsson. The TRS-80.org has specific information about the TRS-80 evolution. Great books have been written to document the development of TRS-80 since the very beginning. I enjoyed a lot reading the "Priming the Pump: How TRS-80 Enthusiasts Helped Spark the PC Revolution" by David Welsh and Theresa Welsh (2007). It was a joy reviving those days when I got my first TRS-80 and started reading the manual and ... wait a second, we never read the manuals,... and started programming in BASIC and format floppy disks and playing those horrible games that we could barely identity the characters but we always used our imagination with a bunch of # @ ! would whatever be it should be. We made a lot of mistakes too, but it never minded, because it was great having a machine that could do something several times without us having to do it. Wasn't it nice to teach the computer how to print "Hello world" and have that creep feeling that computers were going to rule the world and start walking and taking over your brain? Well, I was 13 years old and probably had watched too much Star Trek. Emulators. Lots of TRS-80 software can still be used thanks to TRS-80 emulators. I have used the TRS32 emulator and TRSTools by Matthew Reed. Another TRS-80 emulator (trs80gp) is provided by George Phillips. How to run a TRS-80 program? Click here to learn more about it. JAVA script emulators are provided by Antonio Villena and Peter Phillips. Jeff Vavasour's TRS-80 emulation has BASIC I for browser and several emulators. A TRS-80 emulator for .NET can be found here by Matt Hamilton. Software. There are several repositories for old computer software. The Old Computer. This site has ROM and emulators for Atari, Bandai, Coleco, Commodore, Emerson, GCE, MAME, Mattel, MSX, NEC, Nintendo, Nuon, PC, Sega, Sinclair, SNK, and Sony that work under Windows, DOS, Linux, MAC, iPhone, iPad, DS, etc. Another site with tremendous amounts of software for different consoles is the PlanetEmu.net. A nice selection of programs for TRS-80 is listed here. Miguel Dutra's web page on CP-500 also has several resources for TRS-80 computers. A liked one of Miguel's comments that the market structure at that time 80's was different than today in the sense that we had several operational systems (i.e. LDOS, SUPERDOS, RapidDOS, MultiDOS, CP/M, etc) compared to the market structure today in which we have pretty much two current operational systems: Microsoft Windows or Linux (several providers). Indeed! We need more creativity and competitivity nowadays to move to the next bar. There are several places that are dedicated to honor to the old computing. The Museu da Computação e Informática (MCI) has several microcomputers, including the Brazilian CP-300, CP-400, and CP-500 (photo on the left), which were the TRS-80 Z80 produced by Prológica in Brazil. Another microcomputer museum is the Personal Computer Museum in Brantford, ON, Canada. "Syd Bolton wanted to create a showcase of the history of personal computers because many children have no idea about life before a ‘mouse’, when ‘green screens’ ruled the day, and a time well before the Internet was available to everyone. Relive your earlier computer days or find out how we roughed it in the 70’s and 80’s. The PCM has over 45 interactive computer displays, over 1,000 computers in total. Check their website for visiting hours. The Computer History Museum is located in Mountain View, California, US. "The Computer History Museum offers many online exhibits on a variety of topics related to the history of computing. Some online exhibits like Visible Storage and Mastering the Game complement physical exhibits you can also experience when you visit the Museum in person. Other online exhibits are available only through the Internet and extend the reach of the Museum to virtual visitors around the world." Check the evolution of microprocessors at the Computer History Museum. The OldComputers.net also has a time line of evolution of microprocessors. The HomeComputer in Germany has several computers on display. It also has a trade and want lists. The PC-History website has some information about the pre-IBM PC computers era was developed as a "tribute to the work of Stan Veit, a pioneer of personal computing. The core of the site, everything apart from the time line ... was created by Stan between 1999 and 2002. It is now being preserved, for the enjoyment of future generations." The Another Computer Museum has hardware and software historical perspectives of yet another TRS-80 enthusiast. The Obsolete Computer Museum has additional information about TRS-80. Miguel Dutra's CP-500. 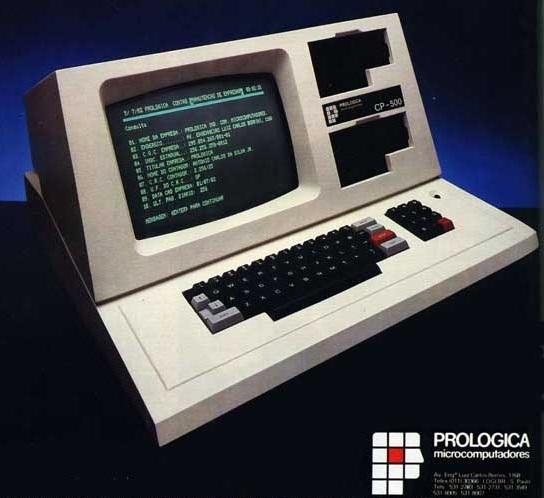 "This page is dedicated to the CP-500, a Brazilian computer manufactured by Prológica during the 1980's. Here you will find every information that you need to revive a realistic experience with that computer and also to get in touch with other people who share the same interest. Everything has been gathered in a single page, in order to make it more practical and useful." Lot's of interesting links. More on CP-500 here. Tim Mann's TRS-80. " 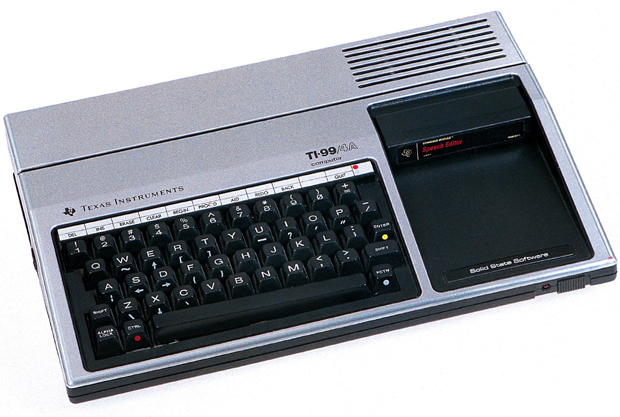 In a previous life I [Tim Mann] was an operating system programmer for the Radio Shack TRS-80 Model I and Model III. More recently, in a fit of nostalgia, I've gotten interested in TRS-80 Model I/III/4 emulators. I've made some major extensions to xtrs, an emulator that runs under Unix with the X Window System." Ira Goldklang's TRS-80 Revived Site. "This site is devoted to providing extensive information on the line of TRS-80 personal home computers, with a specific focus on the Model I,Model III, and Model 4. There is also SOME information on the Model 100/102, Model 200, Model 600,Color Computer, and Pocket Computer lines as well as Printers. Information from these links includes product descriptions, catalog numbers, pictures, prices, operations, hardware, software, etc." TRS-80.org. The TRS-80.org by Matthew Reed brings a lot of details about the different TRS-80 models, including the I, III, 4, and 4D. Several interviews with key people, books related to TRS-80, and a nice discussion of selected arcade games. Another TRS-80.org from UK by Dusty has several documents and manuals, including the TRS8BIT newsletters. David Keil's TRS-80 Emulator Pages. "These emulators are written in 80486+ assembly language and require a Pentium compatible processor. The front-end is written in C++ to provide a user friendly interface. All the TRS-80 emulation runs in assembly language for maximum speed. The start-up, configuration and virtual media selection screens are written in C++. These programs emulate the TRS-80 Model 1, Model III/4/4P, Color Computer 1/2 & Color Computer 3. These microcomputers were popular in the 1980s. The emulators all function exactly like the real thing, including the ability to read and write real TRS-80 disks & cassettes." A mirror of the original website is here. Play CAS? This utility by Knut Roll-Lund will use your PC as a cassette player for your TRS-80 Model I/III/4 Level I and II. Other utilities are also available including tape to DSK. Terry Stewart's website. "This site is dedicated to the System 80, a TRS-80 Model 1 clone, popular in Australia and New Zealand in the early 1980's. This computer also found favour in Europe as the Video Genie, and was sold (less successfully) as the PMC-80 in North America. It was also sold under other guises in other countries." A repository for TRS-80 Color Computer Archive contains several programs and documents, including the coco manual. How to write 5¼” CP/M floppy disks using a 1.2MB PC drive with Windows 98? Click here to learn about it. Some nice articles by Harry McCracken about vintage computers, including the 35th TRS-80 anniversary. 25 Years of IBM’s OS/2: The Strange Days and Surprising Afterlife of a Legendary Operating System for Time.com on April 2, 2012; Clamshell! The Story of the Greatest Computing Form Factor of All Time for Time.com on July 16, 2012; Please Don’t Call It Trash-80: A 35th Anniversary Salute to Radio Shack’s TRS-80 for Time.com on August 3, 2012; and A 35th-anniversary salute to Radio Shack's TRS-80 for CNN.com on August 6, 2012. Click here for an illustrated slide show of Priming the Pump by Welsh and Welsh (2007). It is a fascinating 40-slide PDF of the TRS-80, full of ads, magazine covers, and photos of TRS-80 owners from that time. The Texas Instruments 99/4: World's first 16-bit computer by Walden Rhines and They're alive! Vintage computer fans keep the great machines of the past running by Stephen Cass from IEEE Spectrum. ZX81 Tapes, Hardware, and Bookx Collection.